A few weeks ago we were sent some formula to try in exchange for my opinion about it. It is Comforts for Baby. It is a Kroger brand formula. They sent us the Premium formula which is comparable to Enfamil Premium. Mr Man has acid reflux so even on Similac Sensitive for AR he was throwing up. We accepted the fact that he threw up. We just became prepared. We tried doTerra DigestZen and that helped but it didn't end it. I was a little fearful to switch up his formula. We had run out of the Similac so I figured why not give it a try. The first full day on it went great. He hardly spit up at all. We continued with it. He kept doing great on it. There was a little spit up here and there but for the most part not much at all. Not available online or close to me!!! So the closest store that carries it is 80 miles from me. Not that big of deal. I just have to plan when I go shopping. The other problem is I do not shop at Smith's and they are the only ones that carry it. It is a little out of the way in the town that does carry it. I wish that they had it available online for me to purchase. We have stuck with this brand. I will do what I have to for my kids. So if I have to drive out of my way to get this for him I will. Overall it is a great value and my little guy does great on it. I give it a 2 thumbs up. So if you are looking for a great formula that saves you a little in your wallet. Give it a try. We will be checking out the full line of products. Stay tuned. All opinions are my own. 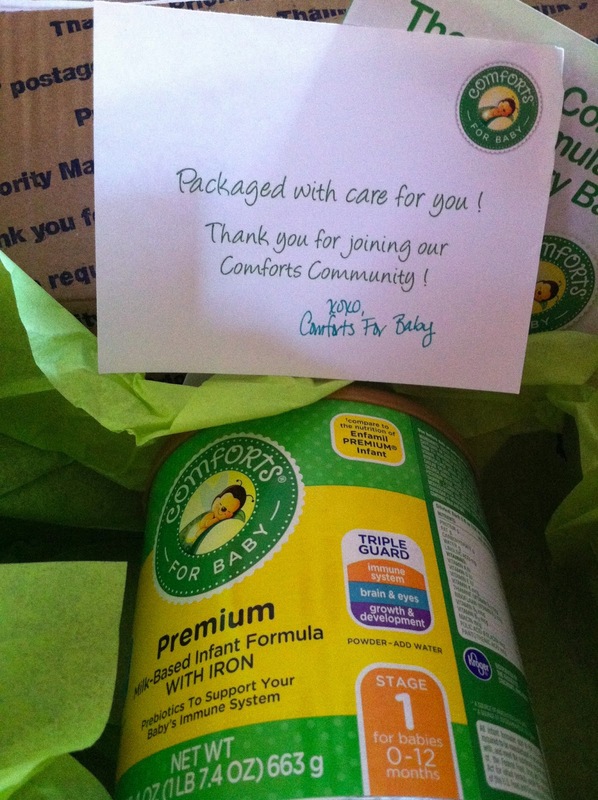 Thank you Comforts for Baby for the formula. You now have a new customer.